This book is published and was very kindly sent to me for review by Michael O’Mara Books. It contains approximately a 50:50 split between patterns and pictures of scenes and animals. The patterns are not geometric, repeating patterns and they’re not boring. They’re abstract images, zentangled sections, flowing lines and swirling designs. I’m not a fan of colouring patterns, because I tend to get quite bored of doing each section the same — the perfectionist in me forces me to do this — but these are lovely and really interesting. 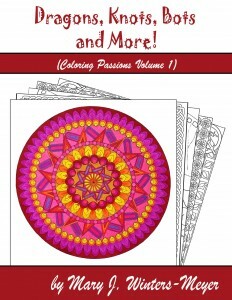 Those of you who like Color Me Calm and Color Me Happy are sure to love this book. A number of the illustrations have been created by the same illustrator of those books. Her work is very distinctive, with flowing abstract patterns that are ideal for practicing mindfulness. The natural images are really lovely, too. They include plenty of birds, leaves, flowers, various animals — even depictions of weather and modes of transport. There is something for everyone in this book! 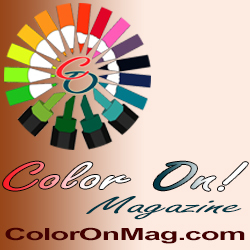 It’s ideal for new colourists who want to try a bit of everything, or seasoned colourists who love variety. 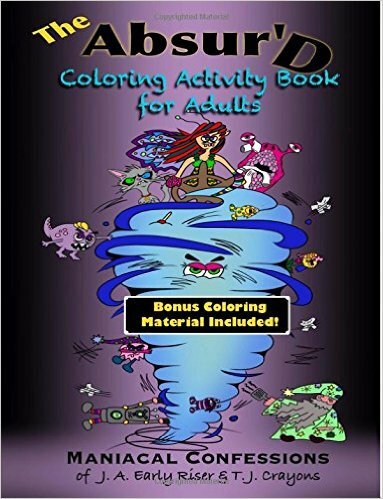 The line thickness in this book is mostly thin, so you will need good vision and fine motor control to make the most out of this book. The images aren’t super detailed and intricate, however, so they won’t be increasing your stress levels. This is a great book for mental health for calming down your symptoms. It’s a really lovely addition to the series. 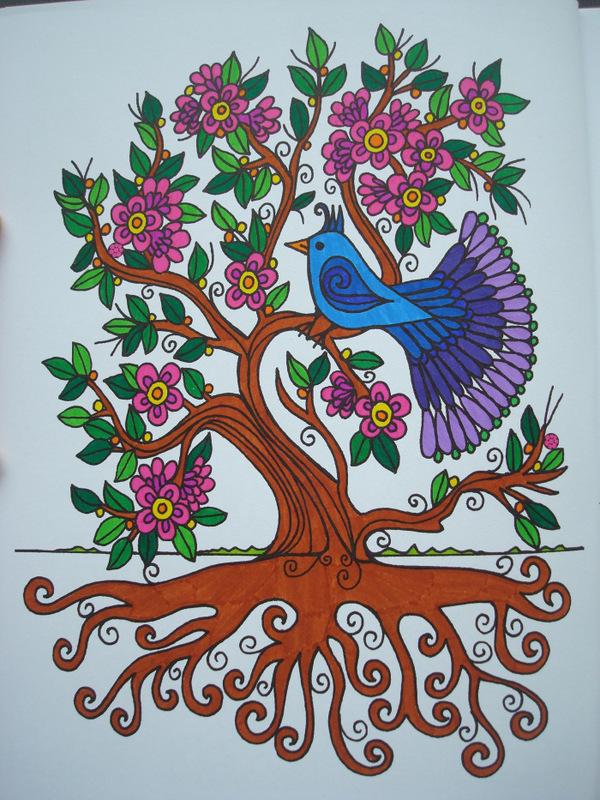 The image above was coloured using Staedtler Triplus fineliners which did bleed a little through the page.